Professionals who undergo trainings from GlobalCompliancePanel exhibit a vastly improved quality of life in which there is increased productivity and professional growth. In the 10 years for which it has been in the professional trainings industry; GlobalCompliancePanel has developed a rich legacy of courses. It boasts an amazingly large repertoire of 5000 courses, which consist of over 2000 in-person seminars. No fewer than 50,000 professionals have benefited from the world class training that GlobalCompliancePanel has imparted through its richly experienced regulatory and compliance Experts, who number over 500. 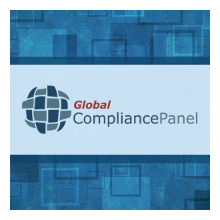 GlobalCompliancePanel's Experts are selected from around the world for the depth and knowledge they bring into their respective areas of expertise. GlobalCompliancePanel's seminars have been held in all the major parts of the world. The locations in which these seminars have been held include the US, Canada, Singapore, China, Australia, Switzerland, France, Germany, Denmark, UK, Hong Kong, Spain, South Africa, India, UAE. It plans to organize seminars in even more parts of the world.